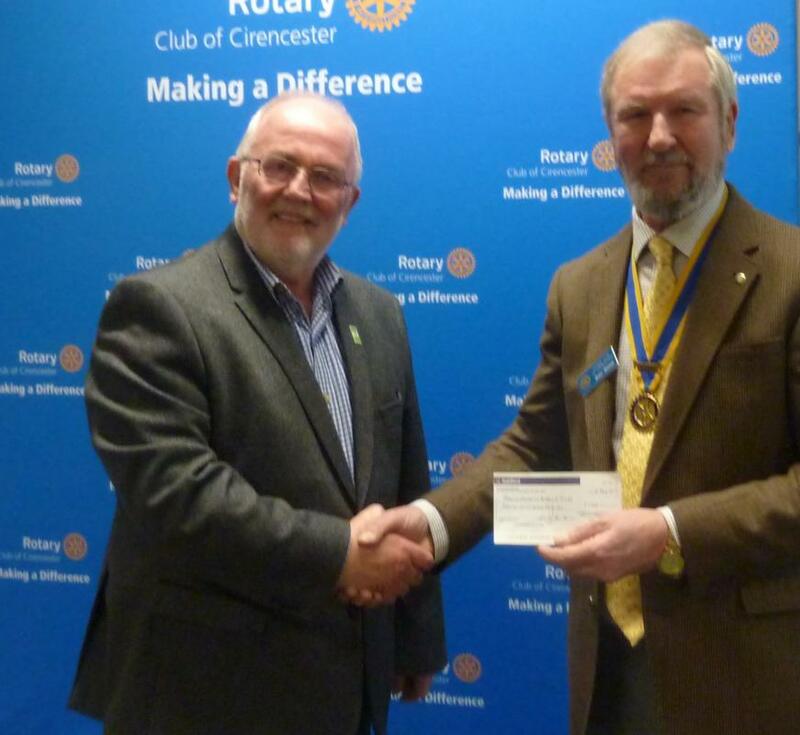 Cirencester Rotary Club has chosen Gloucestershire Arthritis Trust (GAT) to be a major benefactor for this year’s fund-raising activities and Club President Brian Skarda was pleased to be able to hand over a cheque recently for £1100. In 2015, GAT successfully raised funds for knee surgery equipment for Cheltenham General Hospital and this year they set themselves a target to provide similar equipment for the Gloucestershire Royal knee team, who treat over 100 people a year for torn anterior cruciate ligaments – preventing active adults from developing arthritis in later life. More details on GAT are available at www.glosarthritistrust.org.